Personal, meaningful, spiritual and beautiful, just as you want it to be. Or Call our verger Peter Warner to book a date. 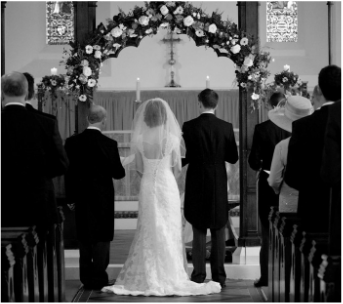 You can contact him on 01753 862071.
there are certain aspects of a church wedding that must be fulfilled. You do have choices in how your wedding ceremony shapes up. It is your wedding after all. We can help you make choices about your hymns, music and the readings you would like. You have choices about who does the readings and prayers, which can involve your family and friends. It’s up to you what you wear and whether you have one ring or two. If the church and the Vicar are free, you can marry on any day of the week. 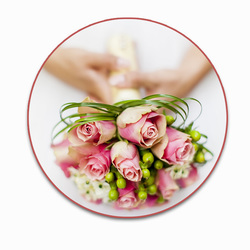 We can put you in touch with our church flower team, however you are free to use your own florist. We have a dedicated team of bell ringers. You can book them to ring the bells in celebration of your marriage and they would ring as the bride arrives and as you both leave the church at the end of the service. We have a church choir that you can book for your wedding. The presence of a choir can help to encourage all your family and friends to join in with the hymns you have chosen. We will arrange to see you and fill in the wedding form with details of your names and addresses, occupation, whether you are baptised and confirmed. You will be asked to bring proof of your identity and your current address. If your address changes between booking your wedding and your wedding please let us know immediately. Click here to download the wedding application form. Your banns will be called on three consecutive Sundays at one of our Sunday services within the 3 months prior to your wedding. If you don’t live in the parish you will need your Banns called in Old Windsor AND in the parish where you live. It is your responsibility to ensure that your Banns are called where you live. We will arrange for your Banns to be called here in Old Windsor and let you know the dates. We will organise a rehearsal with you in the week prior to your wedding. 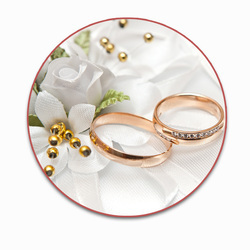 We will take you through the wedding service, what to say, where to stand and what order it all happens. In 2005 the law changed to allow couples to marry in a parish where they have a qualifying connection. And did you know that if you move house, you’re immediately connected to the church there? If you don’t live in the parish or have a qualifying connection then it may still be possible for you to marry in this parish. You will need to become a regular attendee at a Sunday service, attending services at least for a minimum of 6 months prior to your banns being read.